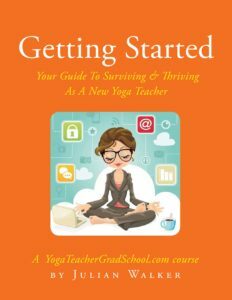 Getting Started: Your Guide To Surviving & Thriving As A New Yoga Teacher! Hello, and thank you for visiting YogaTeacherGradSchool! 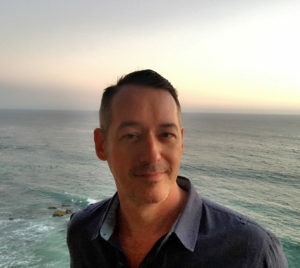 I am Julian Walker, and I have been in the yoga business for almost 25 years —gradually building busy ongoing public classes, working with private and corporate clients, creating successful workshops and retreats, online courses, and for the last 10 years running my own unique teacher training program. Your first course here is a FREE eBook that will guide you in taking the first crucial steps toward starting a successful career sharing yoga!